"We do not inherit the earth from our ancestors, we borrow it from our children." 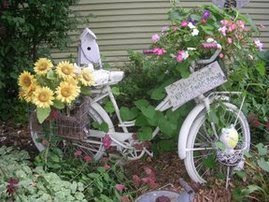 "Bicycle Garden" by "Going Green Boutique"
"Flower Bed" by Chris from "Curby's closet"
Check these blogs out if you are into gardening! 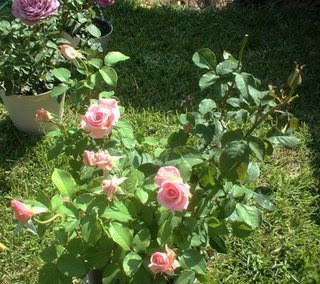 ...a little tour to this garden and you will be digging for more! ....Can you imagine having this view from your office??? It's Linda from Baby Moon Creations. Thanks for visiting and your invitation to place the Etsy Cottage button on my blog site. I tried and had no success and wondered if you could help. P.S. 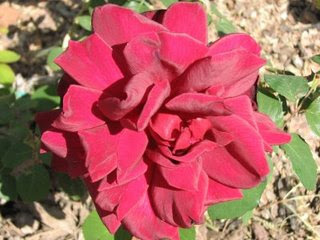 Love the Earth Day posts, love the flowers-Yeah Spring! Happy earth day to you! That last photo there looks like it would fit in with my photos today! love it! Hi Marcella, it worked!!! Thanks so much for your help. Now maybe I will recieve more visitors. Hi Marcella, it worked! Thanks so much for your help. Hope you have a great day! Hi Marcella - these photos are just wonderful, such great inspiration. I too tried to put the badge on my blog, but it is too big and gets cut off - unfortunately I am not that savvy to fix it - any ideas? Hi Marcella - thanks so much, this time it worked and it fit - I don't know what I did different before - but doesn't matter now, it's on there. Thanks again. I was a recycler before it became a term! 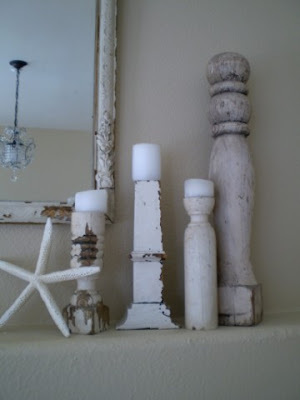 i once carried an old table leg home in my suitcase, that I found washed up on a beach in Cancun! I have an idea for mine now! GASP! this is my kind of post. awesome pics and ideas and roses and chipped wood ... i could go on and on! thank you for stopping by my blog and leaving such a sweet comment! 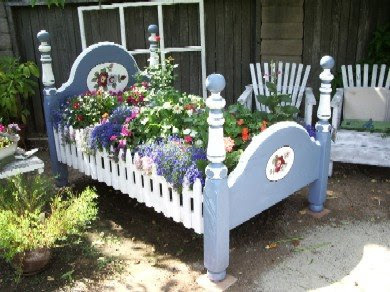 The flower bed picture just made my day! I am looking for an old bicycle for that exact purpose! !